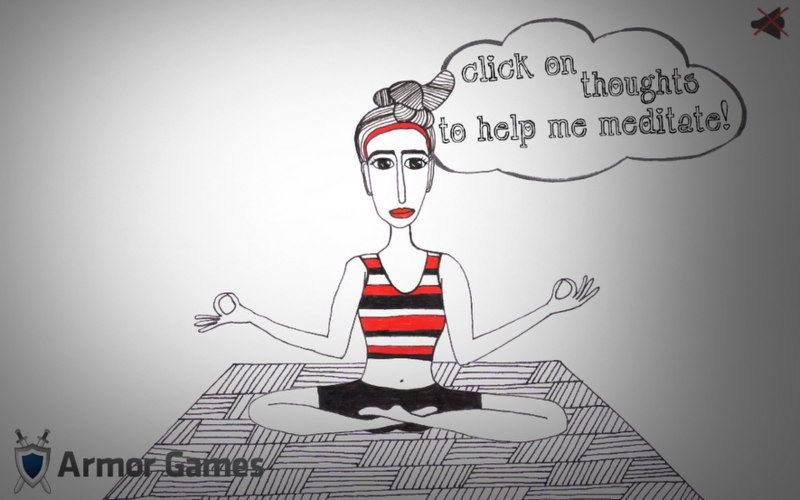 What: A frantic game about meditation. 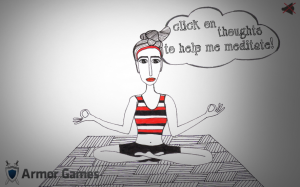 The player has to click on thoughts to help a girl meditate. Thoughts appear faster and faster, so you have to click more and more. Artwork in this game is hand-drawn by Viktoria Chaika.